Areas of modern BASE very different, so the needs and requirements of every BASE jumper would be different. At the container ordering the users should choose on of the following sets. 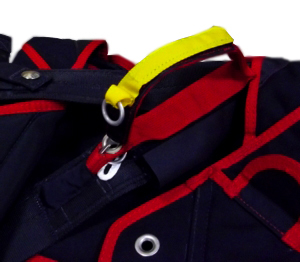 Bridle 2 meters, with Biggrab brakes, soft cutaway hoses, harness with rings at the hips. 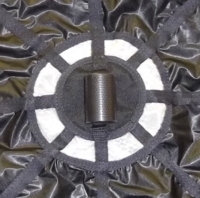 The soft housings are made out of a fabric tape. They are mainly chosen because of their light weight. The bottom part of the cutaway cables is attached on the harness system; and the risers can be cut away by inserting the finger under the cables and pulling them out. It was designed to prevent the premature cutaway in case of hitch of cutaway handle, or if it has blown out. Metal cutaway housings are the metallic housings used in skydiving systems. They have lower friction, especially if the system was soaked in water. Toggles type - standard Biggrab or cutaway FLO toggles. Biggrab toggles have stiff insets to provide ‘openness’ of the toggle for a quick grab. FLO toggles have their cutaway system that allows to eliminate line-overs without cutting the brake line. Length for the bridle - 2 or 3 meters. 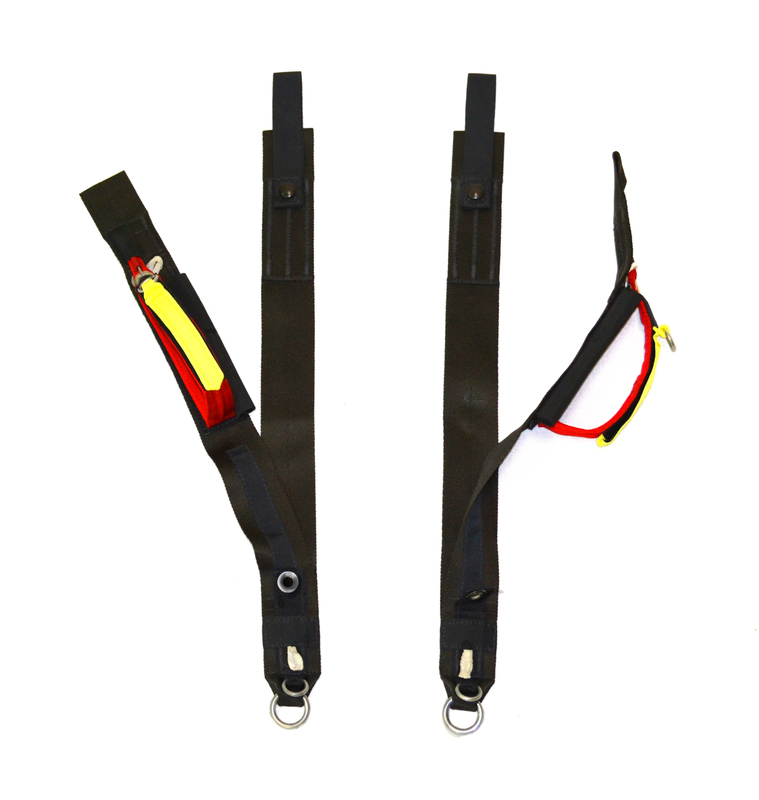 The bridles of 3 meters are used by wingsuiters, and the bridles of 2 meters are useful for low-height jumps. 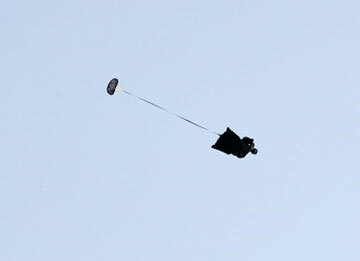 The Pilot chutes may differ in size and are designed for different hesitations. 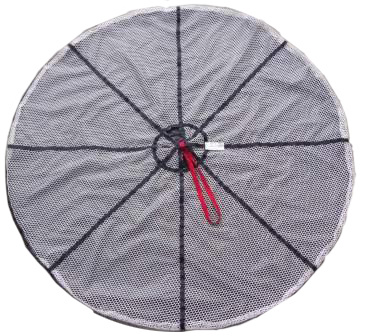 46" PC, top material - ZP, bottom material – wide-meshed net HighDrag, structure – 8-rays star with fabric cap for gripping without apex to provide maximum drag at low speed. 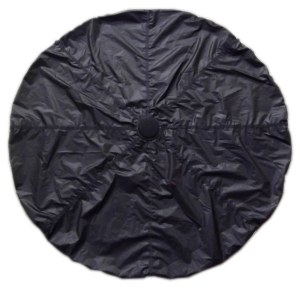 42" and 38" Pilor Chutes, top material - ZP, bottom material – wide-meshed net HighDrag, structure – 8-rays star with fabric cap for gripping, with apex to reduce the PC oscillation. 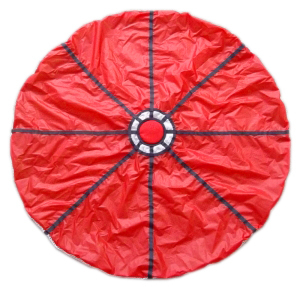 32" Pilot Chutes, top material - ZP, bottom material – wide-meshed net HighDrag, structure – 8-rays star with plastic pud for gripping, with apex to reduce the PC oscillation. By placing the two pairs of pads (top and bottom) we managed to press the container against the back tightly but softly at the same time (not causing any restraint on motions) to provide maximum precision of work. 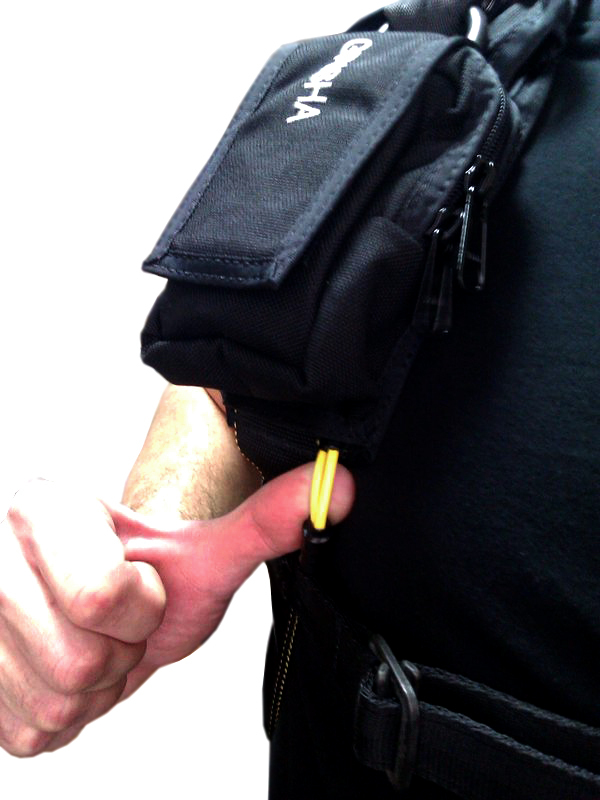 With open-piece shoulder pads the harness is much better kept on the shoulders, keeping the best shape. 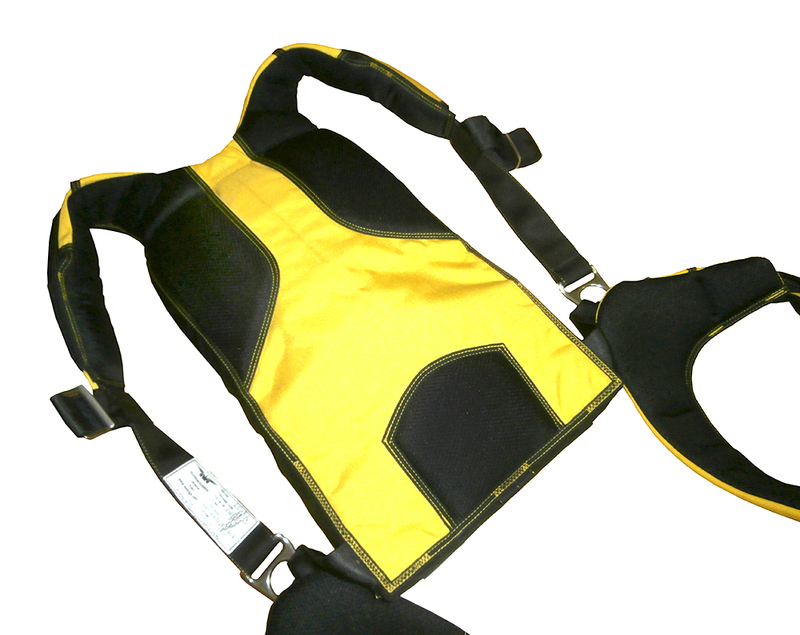 Air channels provide free circulation along the back so that even in conditions of hot weather the parachutist’s back will be comfortable and dry under the tightened harness. 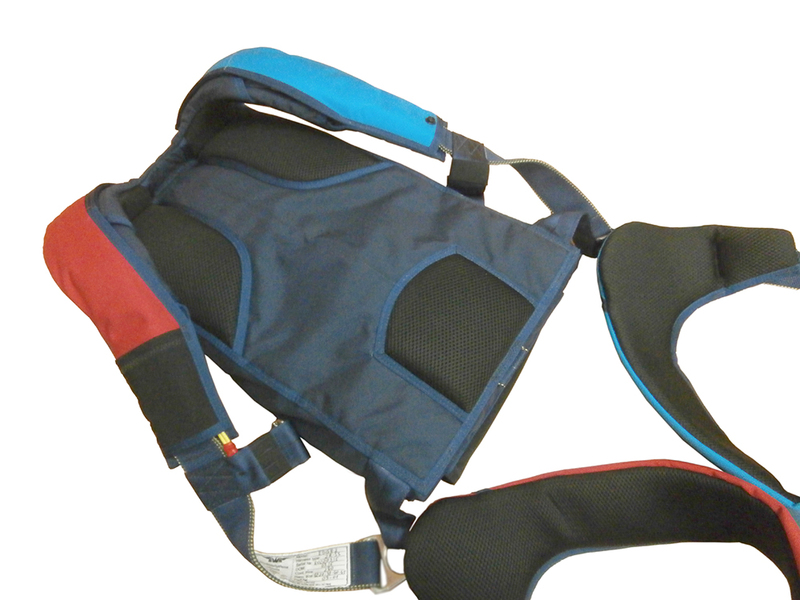 Typical difference of Expta Soft version from Standard parapack version is special material of pads - 3D Space Foam that helps with ventilation. Due to this, even in very hot weather rig does not stick to the back.